Everything you could need was there. Very nice beds, furnished kitchen, great location. Wow. The location was right in the middle of town, perfect location. We were here we needed to be, city centre and beautiful. That the Parkhaus was directly underneath, and the daily ticket only €10,- That the appartment was spilt over two floors with access to the roof! The apartment was well equipt. We were able to do laundry, which was big for us. The kitchen was great, and we were able to cook breakfast every morning easily. The greatest thing about this apartment was the location! Minutes from the main train station, trams, and s-bahn, surrounded by delicious restaurants, right above a cafe and grocery store, and near everything we needed to deal with travel emergencies--forgotten adapters and toothpaste, for example. The hosts were communicative and accommodating to our needs! They gave us great--and off the beaten path--advice for things to do in Leipzig. The Administrator was very flexible when I requested to extend my stay. The doors are opening by codes that were sent in advance. No key collection was necessary. The parking garage is very close to the property, 10 euros per day. 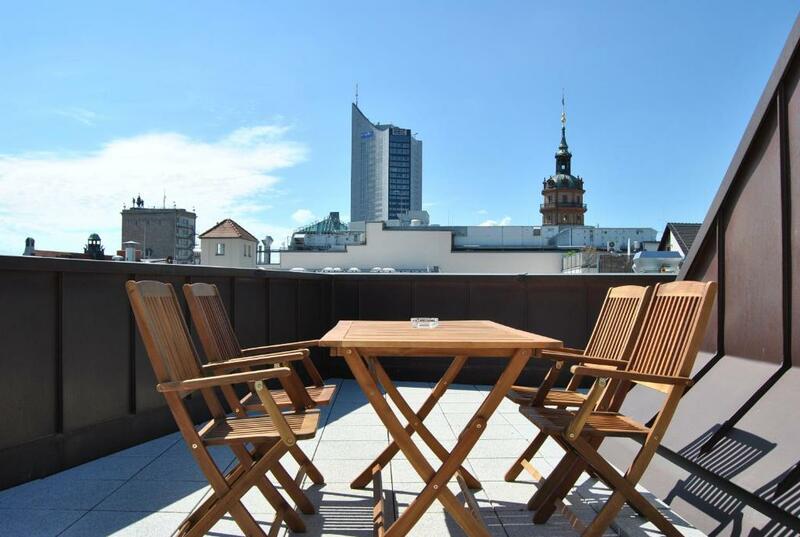 The location is perfect in the city center, the roof terrace is lovely. You have to climb a lot of stairs inside the flat, but for me it was a plus. It looked new, it was clean, the air was circulating automatically. The kitchen is well equipped. One of my favorite stays ever. Location was great. Easy parking in Parkhaus Oelssner's Hof which is attached to the apartment building. Only 6 EUR per day. Easy to get suitcases from parking to apartment. Very nice, spacious and new 2 floor apartment. Nice to have access to rooftop with table and chairs. Brilliant location and having a roof terrace was amazing. There was lots of space within the apartment and the kitchen facilities were very good. Checking in was easy and checking out was easy too. Lock in a great price for Trafford Sky Homes – rated 9.1 by recent guests! Trafford Sky Homes This rating is a reflection of how the property compares to the industry standard when it comes to price, facilities and services available. It's based on a self-evaluation by the property. Use this rating to help choose your stay! One of our best sellers in Leipzig! These apartments are centrally located in the heart of Leipzig's historic district. Trafford Sky Homes offer free WiFi and shared access to a stunning roof terrace. Housed in the Oelßner's Hof heritage building from 1896, the apartments were fully renovated in 2015. All apartments consist of 1 or 2 separate bedrooms, a kitchen and a bathroom, and also feature heated floors, soundproof windows and outer blinds. Guests at Trafford Sky Homes also enjoy complimentary tea/coffee facilities and free use of the washing machine. 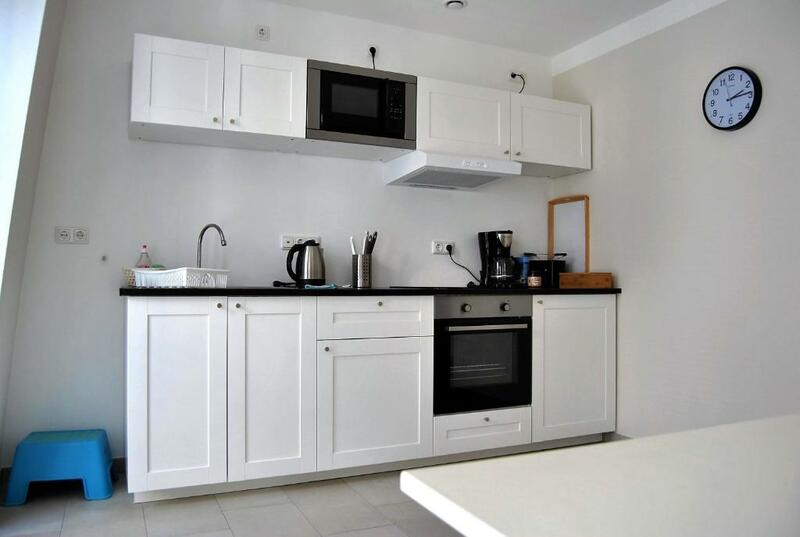 The accommodations is near many shops, restaurants and cultural attractions, and there is a discount supermarket located directly opposite. Trafford Sky Homes are 5 mi from the Leipzig Trade Fair and 12 mi from Leipzig/Halle Airport. Mitte is a great choice for travelers interested in restaurants, atmosphere and architecture. 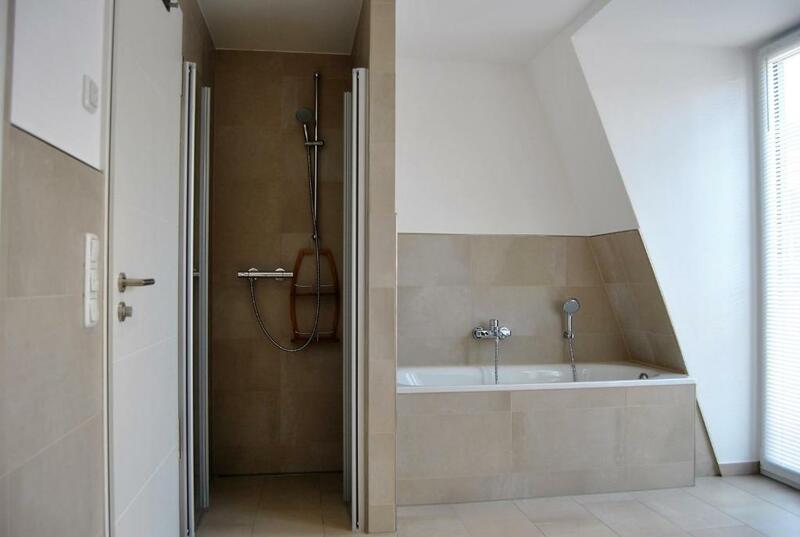 This property is also rated for the best value in Leipzig! Guests are getting more for their money when compared to other properties in this city. 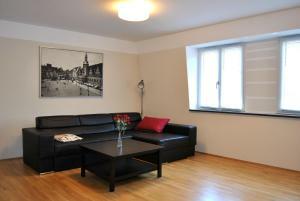 뀐 Located in the real heart of Leipzig, this property has an excellent location score of 9.9! When would you like to stay at Trafford Sky Homes? 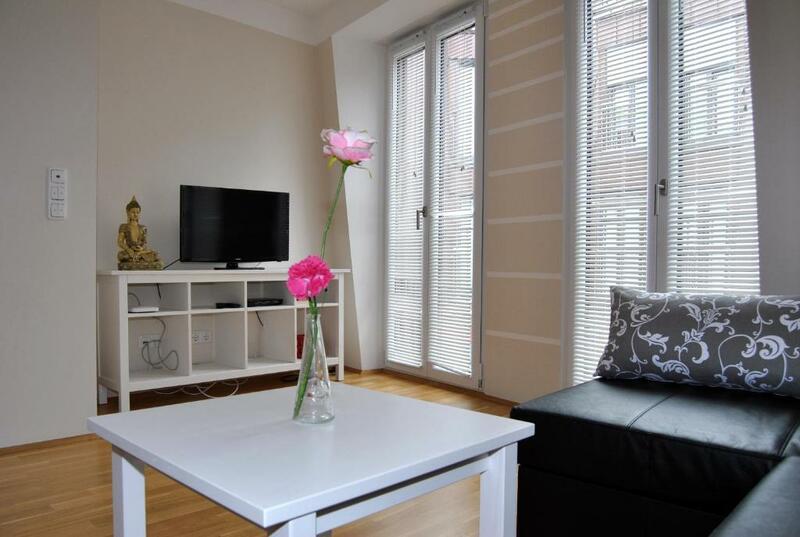 This apartment offers 1 bedroom, a living room with a kitchen, a bathroom and access to the roof terrace. Public parking is available on site (reservation is not possible) and costs EUR 10 per day. 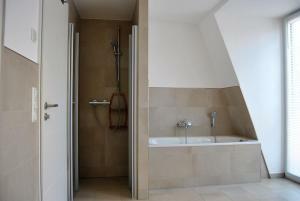 This apartment offers 2 bedrooms, a living room with a kitchen, a bathroom and access to the roof terrace. Please note there is also a EUR 40 final cleaning fee for the apartment. 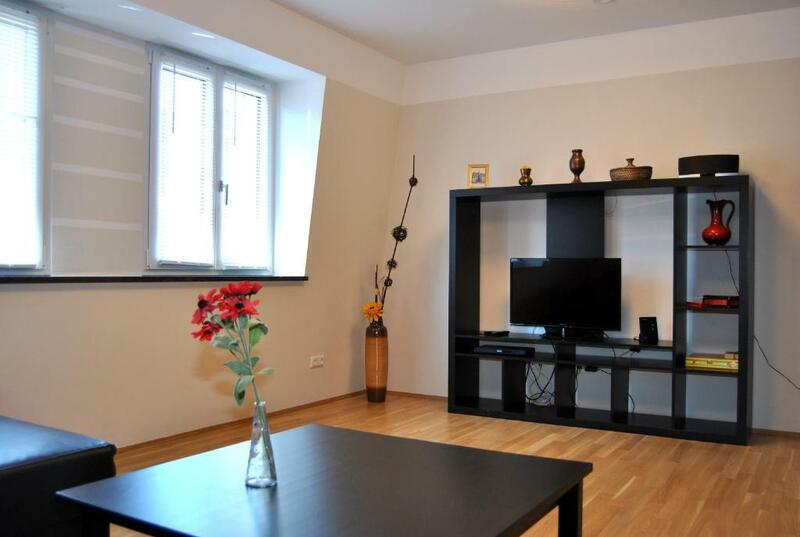 This apartment features a flat-screen TV, private entrance and toaster. Welcome! At Trafford Sky Homes we offer complete apartments, this means we are not a hotel in the traditional sense. We also do not have a reception, therefore a payment on arrival is not possible. Our guests pay online, directly to us, usually 30 days before arrival. Payments can be done by Credit Card, Paypal, Bank Transfer and Bitcoin (we do not accept payments via Booking com, Credit Cards details provided by Booking com will not be used). 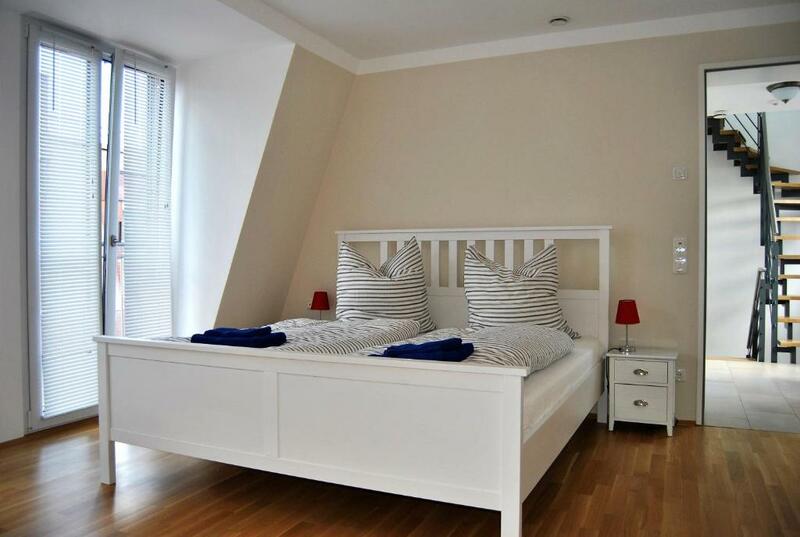 We charge an additional one-time service fee for bed linen, towels and final cleaning. Important: Booking com does not always include this fee in their pricing (depending on the country you order from), so please remember this before booking and, if you are in doubt, contact the Booking com Customer Service by phone before booking. In addition to the total price, we also have to collect the Municipal Tourism Tax from our guests in order to forward it to the City Of Leipzig. The amount of this tax is a maximum of 3EURO per person per night. The calculation will be made after your booking has been received, there will be a corresponding surcharge on top of the total price. After you placed a booking we will send you our confirmation by email. Our location offers City-Life within historic, new renovated walls. The suites are located inside “Oelssner's Hof” , a 2015 renovated, historic, listed building, built in 1896. Located in the historic old town, it does not get more central than this ! Park your car at public parking “Parkhaus Oelssner's Hof”, located within the same building as our suites. Ideal for self-catering: the Penny supermarket is also located inside the same building as the suites. Our suites are fully furnished 1BR and 2BR apartments over 2 floors, with roof terrace that offers beautiful views. Every suite is fully equipped and has a living room, at least 1 bedroom, kitchen, bathroom and direct access to the roof terrace. We provide free Internet access via cable modem, also a washing machine is available for use and we offer free coffee and tea. 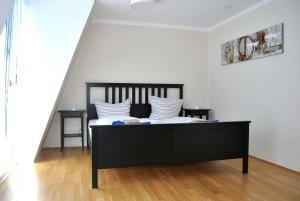 All rooms feature under floor heating, soundproof windows and exterior blinds. Area Info – This neighborhood is a great choice for travelers interested in restaurants, atmosphere and architecture – Check location Excellent location – show map Guests loved walking around the neighborhood! House Rules Trafford Sky Homes takes special requests – add in the next step! Trafford Sky Homes accepts these cards and reserves the right to temporarily hold an amount prior to arrival. Guests need be quiet between 11:00 AM and 10:00 AM. Please inform Trafford Sky Homes of your expected arrival time in advance. You can use the Special Requests box when booking, or contact the property directly using the contact details in your confirmation. The bed was so uncomfortable that after 3 nights I found it hard to walk due to my back and had to get pain relief. It would be good if there was a welcome book which had suggested places to eat as well as where to find local shops especially on a Sunday (we searched everywhere for a convience store and only found the one just outside the apartment on the last day as it was so tucked away). Greatest apartments ever! 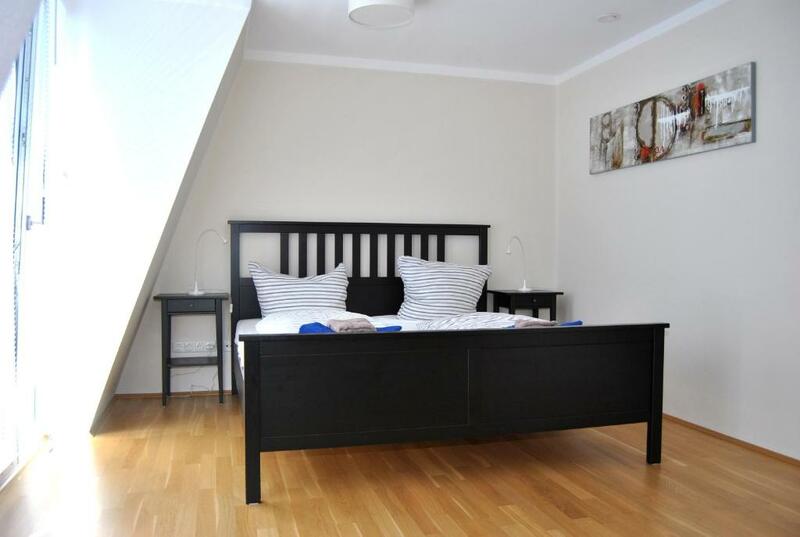 Located in the centrum, very clean, large rooms. Strongly recommend these apartments. Perfect location in the city center. Very clean and spacious appt. Heater in the bathroom not working. The door of freezer falling out. Mattress could have been better. No light over kitchen counter - the only one had broken bulb. Broken some of the window shutters. TV not programmed to show available channels - lot's of time lost to find anything working, No international channels. The payment process was awful! these guys have zero I.T. skills, nearly had to cancel as they couldn't sort it, for some reason their systems were the customers fault, go figure. We spent over 5 weeks throughout Europe moving accomodation every few days, and this was the only property that couldn't organise how to receive our money, and what made this special was the threats we recieved when the payment sent didn't make their accounts, in one instance (as payment was made at 3 points through the booking process) payment was recieved for one apartment and not the other, even thouhg it was made in the same way, by the same payee, we were told it was our card, such a load of rot, such a lot of unnecessary stress. this property was perfect for our families (we booked 2 apartments). Beautifully maintained, fresh & clean, perfect spot to see this city. The payment process requires attention to the details. No linens for the sofa bed - we couldn’t find them, sorry. the beds were making noise, which wake us up every time we moved. We had a great time in Leipzig . the location of the Trafford sky homes, was amazing we were in the center of the city and within minutes of the Christmas market. the apartment was comfortable. We had all what we need for our 6 days stay. Everything is available around the apartment which made the stay more comfortable. Excellent view! Clean and comfortable apartment!